Over 20 manuals to different machines making up an automatic profile production line. Blue Board outsourcer (20 to 50 entries): He is a very professional, meticulous and realiable translator. It's a pleasure working with him due to his good attitude and willingness to work. High rates of avascular necrosis (AVN) and non union are common complications in displaced fractures of the femoral neck. Even when non-displaced there is no assurance that a fracture of the femoral neck may be treated in satisfactorily. One of the key reasons for the problematic nature of these fractures from the therapeutic aspect is that the surgeon has less control over AVN, because of disturbances to blood flow to the femoral head that occur following femoral neck fracture. Femoral neck fractures are frequently intracapsular and the synovial fluid bathing the fracture may interfere with the healing process. Moreover, all healing must take place endo-osteally, in view of the fact that the femoral neck has essentially no periosteal layer. Finally, angionic inhibiting factors in synovial fluid can also inhibit fracture repair. All of these factors together with the aforementioned precarious blood supply to the femoral head result in unpredictable healing and a subsequent fairly high incidence of non-union. Распространенными осложнениями при смещенных переломах шейки бедра являются бессосудистый некроз и несращение кости. Даже при отсутствии смещения нет гарантии качественного восстановления шейки бедра. Одна из основных причин, осложняющих такие переломы с терапевтической точки зрения, заключается в том, что хирург не имеет возможности влиять на бессосудистый некроз из-за нарушений потока крови в головке бедра, происходящих после перелома шейки. Переломы шейки бедра часто бывают интракапсулярными, и синовиальная жидкость, омывающая место перелома, может препятствовать процессу заживления. Более того, заживление должно происходить внутрикостно ввиду того, что шейка бедра, по сути, не имеет периостального слоя. И наконец, восстановлению кости могут препятствовать и ангионические ингибирующие факторы в синовиальной жидкости. Результатом действия всех этих факторов на фоне упоминавшейся выше неустойчивой подачи крови к головке бедра являются непредсказуемость процесса заживления и весьма высокий процент несращения кости. Experience Years of translation experience: 23. Registered at ProZ.com: Feb 2001. Became a member: Aug 2003. Практический семинар ProZ.com для начинающих переводчиков - Фриланс для переводчиков как способ осуществления профессиональной деятельности. 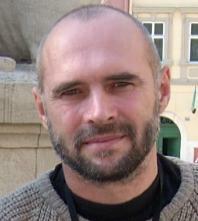 Professional practices Oleg Rudavin endorses ProZ.com's Professional Guidelines (v1.1). 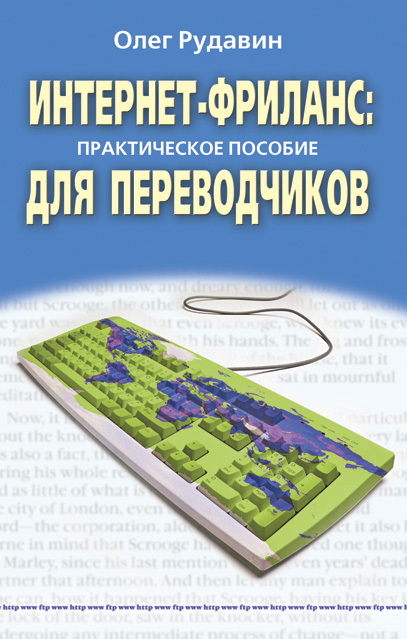 Visit my blog for a Russian & English mixture of publications on the translation industry and freelancing. My main areas of specialization include oil & gas, technical/engineering, and marketing. Revently, there's a growing proportion of translations related to renewable energy & ecology. Available for consecutive interpreting. Secondary areas: automotive, business, agriculture, governmental (anti-terrorism, AIDS, energy), cuisine, tourism. Very extensive experience in various technical sectors. Perfect Russian and Ukrainian. Working with SDL Trados 2007, 2009 Studio. I'm restoring my formerly good intepreting skills with the intention of rejoining the pool of simultaneous intepreters (EN <> UKR/RU). The first few experiences including an assignment in Brussels at Young Europeans Award on Sept 20 proved to be quite positive. Fiction (over 30 books published including Stephen King's Rose Madder and Dark Tower). Profound University education + language practice in Manchester, UK. Extensive & diversified experience. QA procedures strictly adhered to. —	Company profiles, policies on accounting, delegation of authority, control, etc. Turnaround - I once translated 18,000 words within 24 hours but will never agree to do it again! So basically it's 2,500-3,000 words a day. 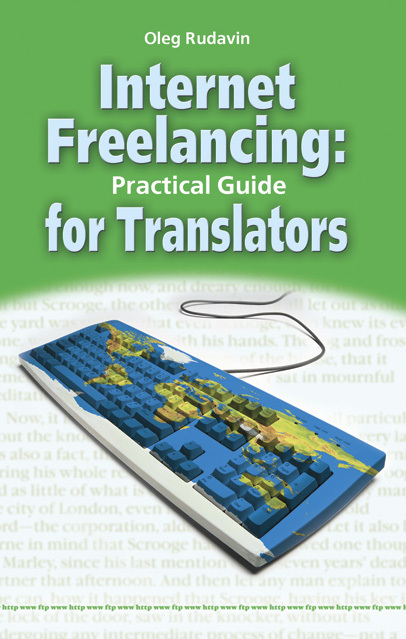 Free sample translation of up to 200 words or small jobs as a token of future cooperation. Please contact me with a sample for a precise quote. My work record includes short periods when I worked at a construction site laying bricks and mixing concrete; as an apprentice of a turner at a machine-building factory; I operated a printing machine; I got inside a tank to see where a particular part is installed... This experience comes handy - even if the word itself is strange I often know what it is! * Translation of Installation and Operation manuals for several programmable gauges, interfaces and probes for Enraf, Holland; English into Russian, ca. 180 pages.